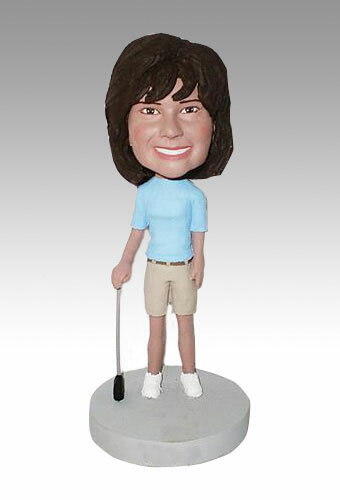 Use a custom golf bobblehead to celebrate your love for golf! You can change the colors of the outfit, add or remove accessories and golf equipment, and engrave the base as needed. Whether you made a hole-in-one or got stuck in a sand trap, this custom doll can brighten a golfer's day!